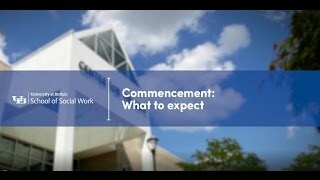 Learn everything you need to know about graduation eligibility, regalia, and the commencement ceremony. Ceremony begins at 9 a.m.
Students to arrive at CFA no later than 8 a.m.
Students who have processed application to candidacy forms; filed for degree with an expected conferral date of Feb. 1, June 1 or Sept. 1, 2019; and who remain in good academic standing may participate in the commencement ceremony. Registration deadline: May 13 at 5:00 p.m. Registration for the commencement ceremony is separate from applying for graduation (degree). To participate in the commencement ceremony, registration is required. If you plan to participate in Commencement, you will need to have regalia (mortarboard hat, black master’s robe, hood, tassel) for the ceremony. You have two options available to secure regalia to use during the ceremony. Option 1: Purchase your regalia from the UB Bookstore beginning March 6, 2019. A 15% off regalia sale goes from March 6-8, 2019. Shipping is available, call to order (716) 636-6290, do not order via their website. Master's regalia costs around $100. Option 2: The School of Social Work has a limited supply of commencement regalia (master’s robes, hoods, mortarboard hats) that we are happy to loan to graduating students. Our goal is to make available loaned master’s robes for students who have the least amount of resources. Therefore, please be mindful of that as you consider making a request. We do not wish the cost of the robes to prevent someone from attending commencement. (Keep in mind you will still need to purchase a tassel.) If you are financially unable to purchase your commencement regalia and wish to request regalia for loan please fill out our survey. Regalia will be distributed on a first request first served basis, determined by the survey completion date/time. We will notify you by email if we have regalia for you; if selected, you can pick up the items between Monday, April 29 and Thursday, May 2 (May 3- remainders will be open to all) from the SSW main office at 685 Baldy Hall. A $20 refundable deposit (check only) is required when you pick up your regalia. The check will be returned to you once the regalia is returned. Please return the regalia no later than May 31, 2019 to the School of Social Work main office at 685 Baldy Hall. PhD candidates may rent their academic dress, which can be ordered online. Purchase of custom UB regalia is also an option through the University Bookstore. Orders may be placed between January 14 - March 1, 2019. If you're on a desktop or laptop computer, we suggest using the latest version of Chrome or Firefox . If you're using an alternate browser, please ensure you're using the most updated version of that browser. To access audio or video content, you will also need Flash 14 or later, which requires Max OS X 10.6 or later, or Windows XP or later. To access live or on-demand video, you will need a download speed of at least 1.0 Mbps (1,000 Kbps) for standard definition broadcasts and 3.0 Mbps (3,000 Kbps) for high definition broadcasts. You can measure your download speed at www.speedtest.net. Our broadcasts are also compatible on any Apple mobile devices running iOS 7 or later and on Android devices running OS 4.4.4 or later. If you're wishing to view the broadcasts on your TV, we suggest using AppleTV to wirelessly stream content from a Mac or Apple mobile device or connecting an HDMI cable from your computer or device to your TV. While some Smart TVs can also be used to access our streams, we cannot guarantee compatibility.